Freeway fast became a valuable member of the Roc-a-Fella family in the early 2000s. His ascent can be traced back to an agreement he made with fellow Philadelphia native Beanie Sigel. Acquaintances from the same local nightclub, the two shared admiration for one another and made a pact: the one who first landed a record deal would pull the other along. 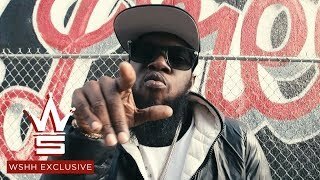 Sigel got the tap first and stayed true to his word; Freeway made his first major appearance in 2000, on "1-900-Hustler" -- a track on Jay-Z's Dynasty Roc la Familia album. A critical point came just after the album's release, when the MC was arrested for dealing drugs; forced to choose between two careers, he opted to stay in hip-hop, releasing the excellent debut full-length Philadelphia Freeway in early 2003. At the same time, Freeway was part of the State Property collective. An album with the four-member Ice City, Welcome to the Hood, had a low-profile 2004 release. Three years later, Roc-a-Fella finally issued Free's second album, Free at Last. While Just Blaze dominated the production work on Philadelphia Freeway, a cast including Cool & Dre, Don Cannon, Dame Grease, and J.R. Rotem shared the load this time out. Upon severing ties with Roc-a-Fella, he issued the no-frills 2009 album Philadelphia Freeway 2 (Real Talk), as well as 2010's The Stimulus Package (Rhymesayers), a collaboration with Jake One. He issued the solo album Diamond in the Ruff in 2012 then collaborated with mash-up producer Girl Talk on the 2013 EP Broken Ankles. In 2015 a routine doctor's visit revealed kidney failure that required dialysis and the search for a donor. These struggles helped inspire the MC's 2016 solo album, Free Will.